We are pleased to announce that we are sponsors at the High Energy Mariculture Conference in Corfu on 17th-19th October. 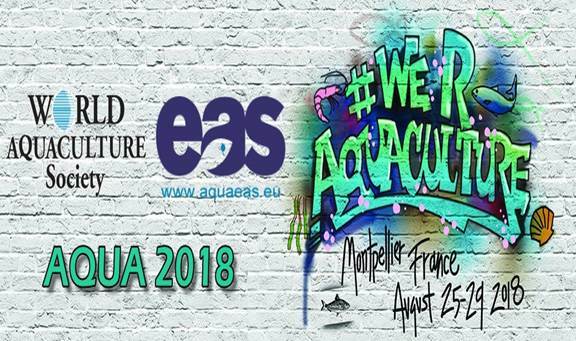 This year’s event will be the ninth in the Offshore Mariculture Family, but the first with the new High Energy Mariculture name, reflecting the advancement of the European offshore aquaculture industry. This event has been a staple in the industry’s diary as an event which provides a platform for discussion and innovation. 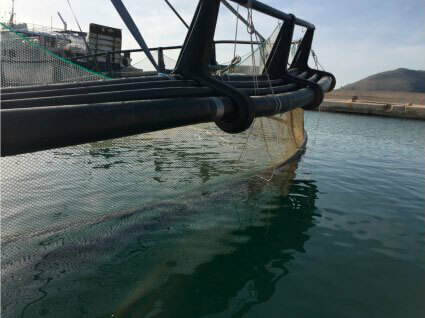 The programme will explore the progress and prospects for offshore aquaculture in both European and international waters and includes a technical visit to Corfu Sea Farm allowing delegates a comprehensive insight into how offshore fish farms operate today. The focus will be on marine finfish, and the conference will consist of two days of presentations and case studies, with a conference dinner in the evening of day 1. We hope you can join us in Corfu. On 27 June, ECHA included lead metal in the Candidate List of Substances of Very High Concern (SVHC) under REACH. According to REACH regulation EC/1907/2006, article 33, ‘Duty to communicate information on substances in articles’, any supplier of an article containing a substance listed in the SVHC list in a concentration above 0,1% weight by weight (w/w) shall provide the recipient of the article with sufficient information, available to the supplier, to allow safe use of the article including, as a minimum, the name of the substance. In this case, recipients are industrial or professional users and distributors, but not consumers. In the case of supply to consumers, the same information must be provided within 45 days of a consumer request. 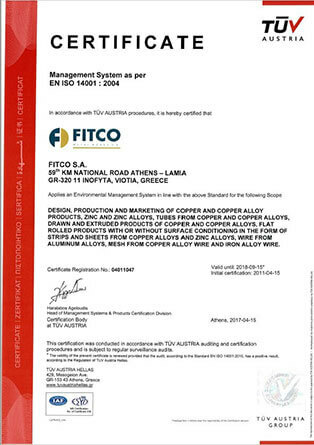 FITCO’s Brass semi-finished products contain lead in a concentration that cannot exceed 3,4% depending on the alloy. Sufficient information about the safe use of the articles can be found in the Product Information Sheets (see here). 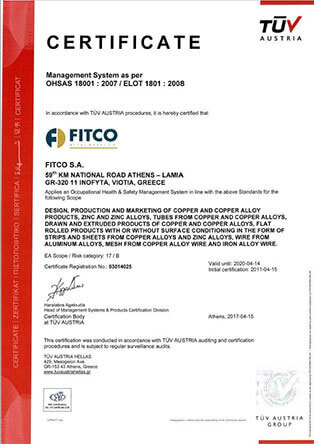 It is important to mention that Brass semi-finished products are articles according to REACH Regulation EC/1907/2006 and according to article 31 there is no legal obligation to issue a Safety Data Sheet. However, to be able to provide sufficient information typically included in a Safety Data Sheet also for articles, the Product Information Sheets for articles have been voluntarily issued. 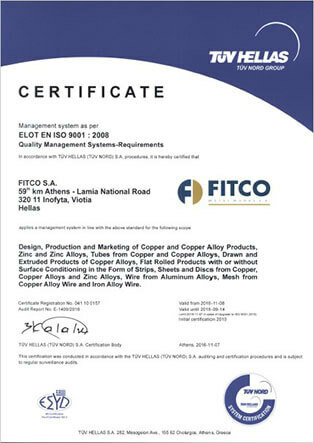 The quality management system is recertified according to ISO 9001: 2008 by a three yearly recertification audit from TUV Hellas certification and inspection body in 10/2016.